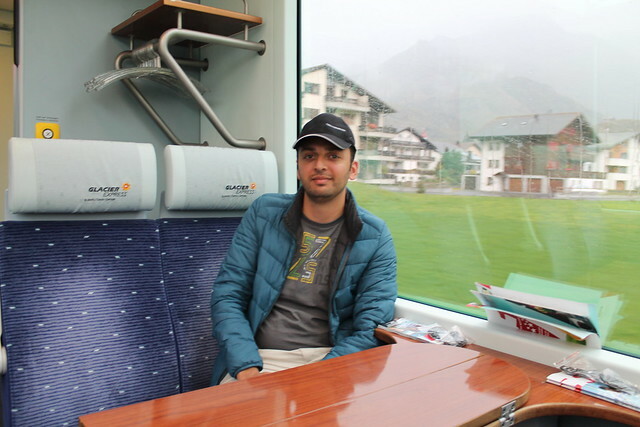 I was up at 7:15 am for the 8:52am train on the world-famous panoramic Glacier Express train from Zermatt to St Moritz. After a quick breakfast I left my hotel by at 8:25am. 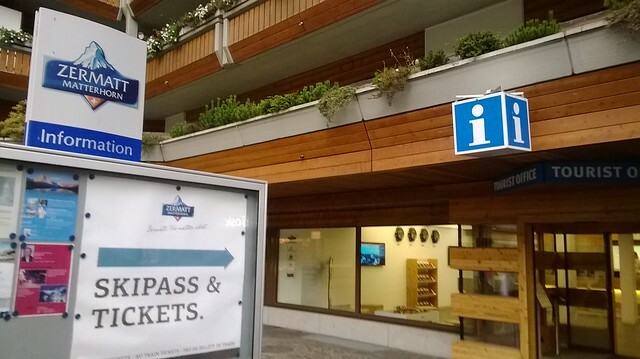 The hotel could not print my train ticket so I would either have to look for an internet café or ask at the train station. 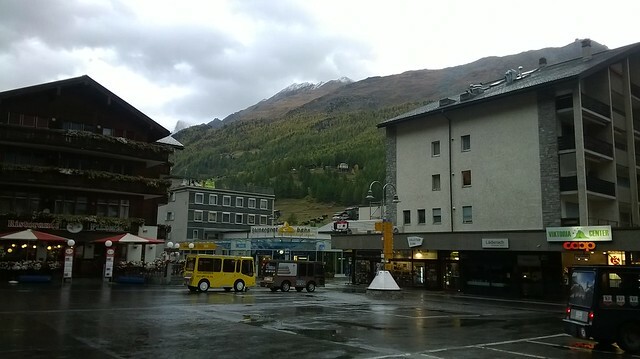 My first priority: stop to buy a magnet of Zermatt and get some snacks. The office at the train station printed my ticket without any fuss. 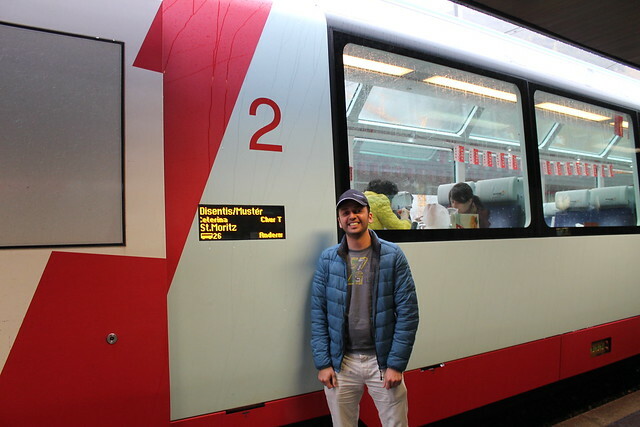 I boarded the train by 8:47am. 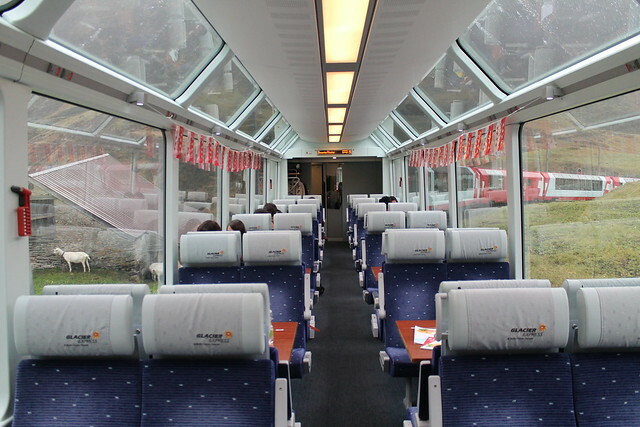 The carriage was quite empty with many free seats. 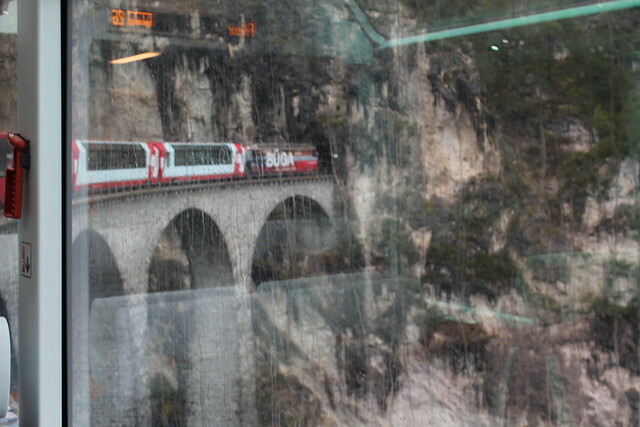 I’m pretty sure the ride in the Glacier Express can be amazingly beautiful… It’s not so great in wet weather. 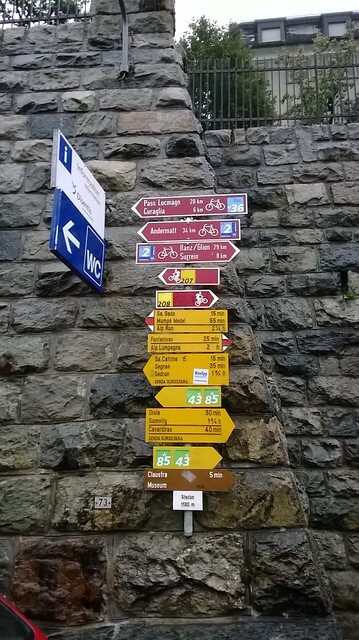 We made short stops at Brig, Feische and Oberwals. 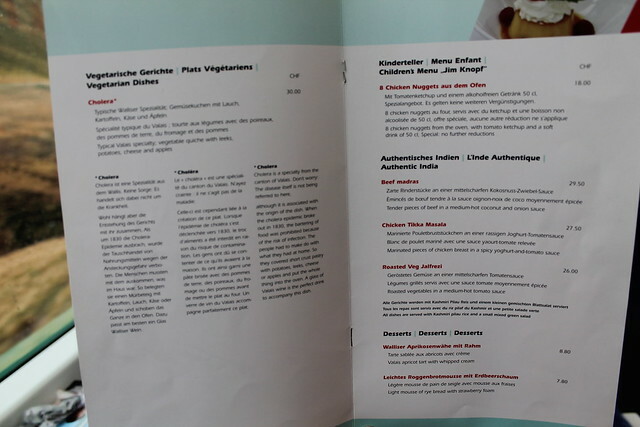 They offer a selection of meals on board but I didn’t reserve any. 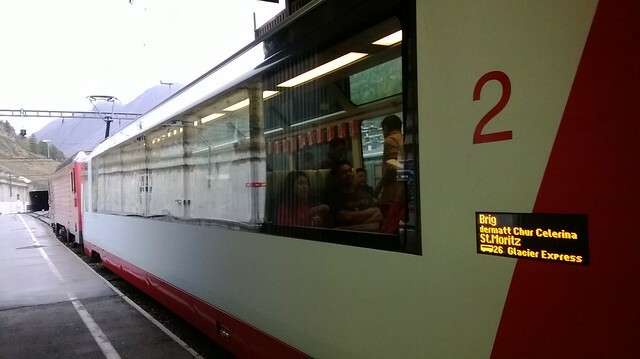 The train made a stop at Disentis for 30 minutes where we were allowed to get off. 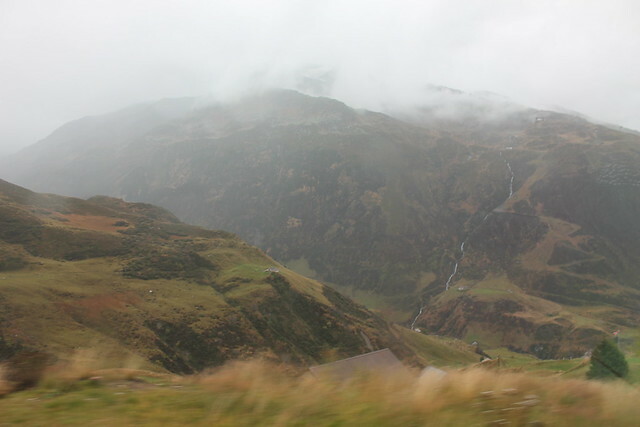 However, since there was heavy rainy I could not get very far. 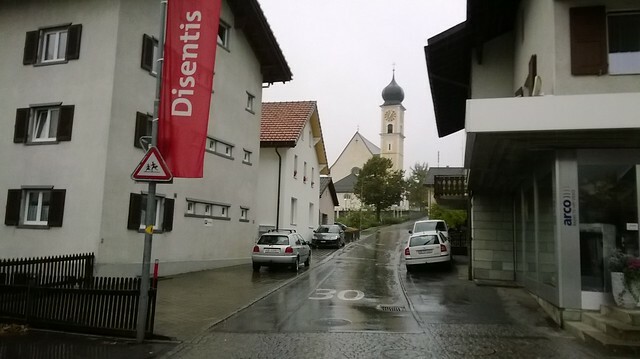 We made another 20 minute stop in Chur but nobody got out. Near Tieffelcastel I saw the famous Landwasser Viaduct. Here’s a short video compilation of the trip which includes part of the Landwasser Viaduct crossing. 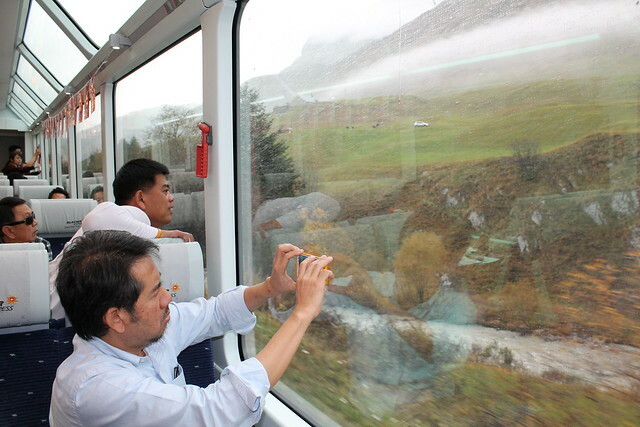 To be honest the “world’s slowest fast-train with amazing views” felt like the world’s most boring and tiresome fast train for me in that wet weather. The windows cannot open for you to take pictures of the scenery around you and I really disliked the bright fluorescent lights. It leaves a glare on the windows which makes taking clear pictures even more difficult. 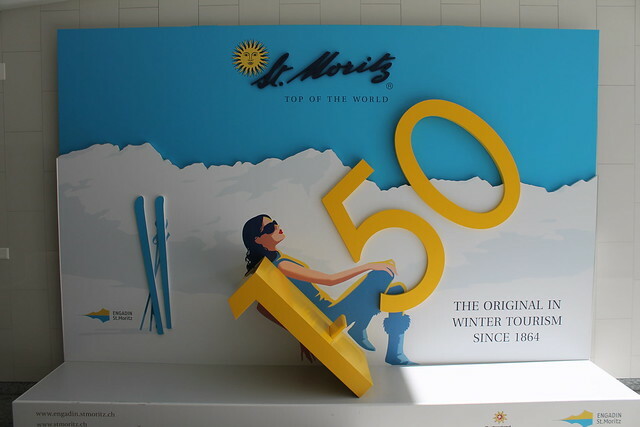 I was glad to finally reach St Moritz 8 hours later at 16:55; the city that hosted the original Winter Olympics in 1864.